For Malcolm, Hell, if it does exist, must involve Jeremy Clarkson in some form. Far worse than endless fire and brimstone: a continuous loop of Clarkson videos blasted away for all eternity… Now that is a more terrifying incentive to climb Jacob’s ladder than any Jesuit or Alpha Course. The Phantom is a first cousin only to the God of silence, and manners, and breeding. It is an exquisite car and I would have one tomorrow if it weren’t so bloody expensive. That and the fact my wife has said she would divorce me. And then kill me with a knife. And now comes the convertible and, oh deary me. When I came home to find it sitting in my drive, all huge and brilliant, I’m afraid I started to dribble…. And then my wife came home. “Jesus H Christ,” she said. “What is that monstrosity doing here?” An argument ensued. She said it was vulgar. I said she was from the Isle of Man so she’d know. Some doors slammed. And I went for a drive. Now that simply works as a piece of writing. It’s got the lot: balance and contrast; light and shade; 5W+H (Who? What? Why? When? Where? How?). It seems to tick a fair number of the seven levels of meaning, too: the literal, the metaphorical, the allegorical, the … [Oh for crying out loud, Malcolm, give it a break!] And it’s got a main and a sub-plot, for goodness sake. Malcolm drools over writing like that. And he loathes cars of all kinds, but the bigger, shinier , and more opulent then the more gross, offensive and and tasteless. A short while back, he was making a similar point that some of the best journalism is hidden away in the supplements and between the display advertising. Here the writers are often younger, hungrier, more innovative, less pressed to file several thousand words by bed-time. And so there is a higher quality quota. It’s not a matter of talent, or at least of talent alone. It is what distinguishes craftsmanship from getting-the-job-done. It’s the recognition that the last ten-per-cent of the work takes ninety-per-cent of the time. Some 70 minutes into the England-Tonga game came a jarring remark in the commentary. There had been a period in which England had been passing the ball hand-to-hand quite successfully, and totally out of character with some of their recent performances. Farrell over, right between the posts. Wilkinson slots it home. Nice stuff. Game sewn up. Then the moment. Tonga had proved to be the best of the Pacific islanders. OK, fair enough. Despite having a total population of barely 100,000, “the size of Chesterfield”. For a start, Chesterfield is only about 70,000: to get to the 100,000 mark one has to add in the outlying areas, especially Staveley. Malcolm has genealogy that stretches back to Chesterfield, of which he is quite proud. He has a fond memory of going to Chesterfield to watch the 1961 Australians play Derbyshire. It snowed. No play. The main event of the day was drinking bitter with his cousin, Ralph, and watching Frank Misson running laps round the boundary. Perhaps a better comparison might be Hartlepool, with a population below 90,000. The reason Malcolm suggests this is because there was a time, some forty years ago, when he seemed to spend an inordinate number of Saturdays playing one or other of the Hartlepool rugby clubs: Hartlepool Rovers. West Hartlepool, Hartlepool Athletic, Hartlepool Old Boys … He came to the conclusion that every Hartlepudlian male between 15 and 50 must be turning out for one team or the other. And they were evil buggers too. If they didn’t knacker you in the scrum, they’d drink you under the table afterwards. And every member of the pack seemed to be built on the proportions of a barn-door. Just like the Tongans, indeed. Is The Economist declaring for Hillary? There’s a certain fascination in decoding the Lexington column in this week‘s (any week’s ) Economist. Clinton has led the Democratic hopefuls from the beginning, and is now firming up a decisive lead. The massed ranks of nay-sayers are composing their arguments that her campaign will stumble and fall, and particularly so in the Iowa caucuses (the main objection being that, last outing, Kerry was running third in the State until the final week). The Republicans, Giuliani especially, have her in their sights. Her opponents are falling further behind. She has commanding leads in polling across the country, despite what difficulties Iowa throws up. Her political machinery is polished, potent, efficient and effective, and harnesses the Party’s heavyweights. Do Democrats really want a candidate who has so much baggage, wayward husband and all, from the 1990s? And do they really want to run the risk of handing the Democratic crown to such a polarising figure? The simple answer to both questions is “yes”. Most Democrats associate the Clinton years with peace and prosperity rather than stained dresses and disappearing furniture. Bill Clinton left office with a job-approval rating of 66%. Three-quarters of Democrats, and 53% of voters in general, would like him to play an active role in a future Clinton administration. Nearly nine in ten Democratic voters (88%) express a positive view of Hillary’s candidacy; 38% express a very positive view. Mr Giuliani seems less impressive in person than he does in the polls. His speeches are poorly prepared and convoluted, and he is given to silly gimmicks, such as stopping in mid-speech to the NRA to take calls from his wife on his cell-phone. Inevitable is too strong a word. But Mrs Clinton looks much more like a president-in-the-making than any of her opponents, Republican or Democratic. It is far from an easy call, especially against the backdrop of a turbulent, dangerous world. But, on balance, our instinct is towards change rather than continuity: Mr Kerry, not Mr Bush. Tuesday, 4th November, 2008, is still well over most of our horizons. Even so, Malcolm is prepared to risk a few hostages-to-fortune that, absenting cataclysms in the meanwhile, he can predict The Economist’s front page for its issue of 31st October next year. 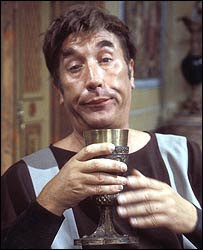 Either she’s the best Frankie Howerd impersonator in town, or she just doesn’t get it. Mariella [Frostrup] wondered what he had done when he [Gordon Brown] was young. “I played sports,” he announced (he didn’t say during which meal). He had gone to University at 16 but, in the first week, hurt his eye playing rugby. The audience barked, possibly with shock. Oh god, where does one start? Look, Anne dear; that is true. Arthur Guinness and Co believed that their product was healthy and good. They provided, free of charge, one third of a pint bottles for patients in hospital. Malcolm knows that, for sure, because, at the age of barely sixteen, because of a broken arm in a rugby game, he was in the Meath Hospital, Dublin, and was provided with, and—yes— joyfully imbibed the stuff (and looked for seconds). Meanwhile, Gordon’s punchline: you simply didn’t get it, did you? Well, dear, there’s this song, you see. It used to be very popular among the Lefties. Particularly after pay-day. When the red revolution comes. When the red revolution comes! Free beer for all the workers! Free beer for all the workers! Gordon knew that. The Labour membership knew that. The Times readership, alas, remain no better informed from Ms Treneman’s efforts. 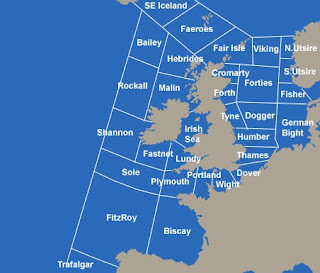 The Shipping Forecast can be heard four times a day on BBC Radio 4, giving details of conditions in the seas around the UK, Ireland and beyond. Each broadcast attracts hundreds of thousands of listeners, many of them with no connection to coastal waters – so what is its enduring appeal? The broadcast was already part of the Home Service when it was rebranded as Radio 4, 40 years ago this week. The schedule for the first day of Radio 4, on 30 September 1967, has an entry from 2345 to 2348, describing a “forecast for coastal waters”. The Shipping Forecast has a quite remarkable footprint in popular culture: as wikipedia will explain in full, it has appeared in lyrics by Blur, Radiohead, Tears for Fears, Chumbawamba, British Sea Power and Jethro Tull. There’s a lot going on here. Heaney had removed to Wicklow from Belfast, north to south, city to countryside. He acknowledges the duality of his own tradition: nodding equally at Paddy Kavanagh‘s sonnet sequence Temptation in Harvest (which marks Kavanagh’s removal from Monaghan to Dublin) and, in Sonnet X, Thomas Wyatt (the pioneer of the English sonnet). There are also references to Joyce (‘inwit’ in Sonnet IX), Shakespeare (inevitably, perhaps) and Wordsworth. The more Malcolm reads those lines, the more antitheses he finds: land and sea, Anglo-Saxon past (‘keel-road, whale-road’) and modern, morning and ‘closedown’, storm and shelter, ‘gale-warning’ and ‘clearing’, the French and the English names. Above all Heaney is reminding himself, then us, of the instabilities of life, particularly of emotional life, which perversely repeat into an eternal pattern of continuity. Again the contrasts: ‘prayer’ but ‘faithless’, ‘console’ but ‘pain’ and ‘loss’, the anonymous simplicity and distance of ‘Grade 1 piano scales’ with the personal complexity and empathy of ‘the lodger looking out across a Midlands town’. It is held together by two conceits: the metaphor of ‘prayer’ as a natural, non-religious ritual, and the unexpected and ordinary universality of music. Heaney … Duffy … and the shipping forecast’s appeal, according to Mark Damazer (above), is so “English”. Well, well. Above all, we all seek a full-stop, a closure to each episode, to each day. And that is the wider signification of the post-midnight shipping forecast. It is a sonorous formula of some 350 words, which follows a ritualistic order. The shipping areas, as they are recited, form a clockwise pattern around the British Isles: the names visualised on a chart following a clock’s hands from 12 o’clock all the way round the face of the dial. It is delivered at dictation speed. It is comforting, especially in the warmth of a bed, while, however briefly, musing on the lot of all poor souls at sea. It is full of marvellous names, real and metaphoric: the mundane rivers (Tyne, Humber, Thames, Shannon) and the islands (Fair Isle, Wight, Lundy) rubbing along with the romantic (Hebrides, Trafalgar, Fitzroy — formerly Finisterre). 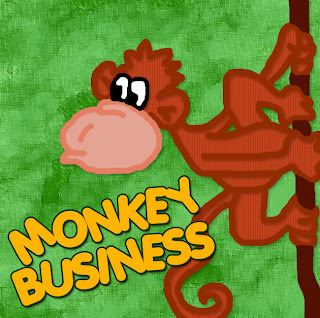 And for the older contingent (including Malcolm) the mysteries: where did Utsire come from? where did the Minches go? the significance of ‘veering’ versus ‘backing’? Malcolm’s father was a strict observer of the late shipping forecast, followed by the metronomic repetition of Sailing By, followed by sleep. As he became deafer, so the volume increased: nobody in the house would miss out. Dee-dee-dum-dum, de dee-dee-dum-dum, de dee-dee-dum-dum, de dee. So that was why Malcolm had it played as the fade-out music at the end of the crematorium service. And why, perhaps, in due course it will see Malcolm out, too. Malcolm contends that anyone with even half-an-interest in US politics needs the daily feed from makethemaccountable.com. At worst (which is not infrequent) it is a recital of the miscalls and misdemeanors of the US media Right. At best it can be dynamite. 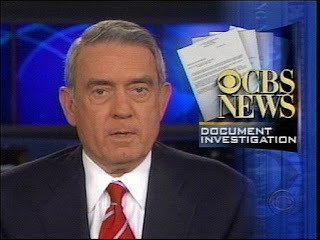 Today there is an example of the latter: a re-appraisal (by Eric Boehlert, who has a useful track record on this one) of the Dan Rather Memogate/Rathergate affair. Cis–Atlanteans may need a reminder here. As the 2004 Presidential Election campaign proper was getting under way, on 8th September CBS aired 60 Minutes Wednesday, a regular news and features programme with a venerable history. The producers had received documents which apparently showed George W Bush had defaulted on his service with the Texas National Guard (since this was 1968, it was itself a cop-out from serving in Vietnam). The material showed Bush was declared unfit for duty and put on suspension. A fortnight after broadcasting these and similar allegations, CBS withdrew the claims, apologised, fired the producer (Mary Mapes, who has just posted her version on huffingtonpost) and shortly afterwards Rather retired, or was forced to do so. Rather has now issued a writ against CBS for damages. Ever since, whenever the incident has been mentioned, the media have been anxious to make clear that the claims in the so-called Killian documents were disproved. There has been some mockery of Rather for his action against CBS. Using Bush’s own military records, I’ll list 10 glaring discrepancies regarding his fraudulent military service, none of which is based on the disputed memos that were aired by CBS News in 2004. Many of those “discrepancies” seem to rely on missing paperwork, or instructions given to other agencies in the military which went unregarded: all coincidentally working in favour of Bush. 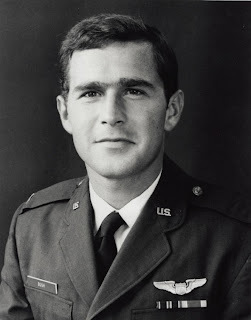 In spring 1972, after receiving $1 million worth of taxpayer-funded flight training, Bush unilaterally decided he was going to stop flying and attempted to transfer from his Houston base to a non-flying, paper-pushing postal unit in Alabama. The request was denied. 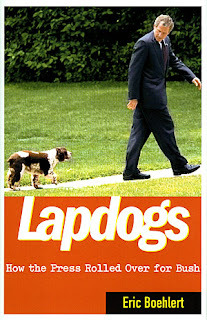 While Bush searched for a new unit, he took the summer off, never bothering to show up for his mandatory monthly drills. Bush was eventually ordered to report to a flying unit in Montgomery, Alabama. There is no evidence Bush ever showed up there, which means he missed more weekend training sessions. In July of that summer, Bush also failed to take his mandatory annual physical and was grounded by the Guard. In 1973 Bush was supposed to return to his base in Houston but again he was a no-show; his commanders in May 1973 claimed they had no idea where he was. Then between the summer of 1973 to the time he was discharged in 1974, there’s little evidence that Bush ever attended training sessions, which means for nearly two years Bush snubbed his Guard duty. Bush has precious little reputation left to tarnish, personally or politically. There is another issue: the Rovian manufacture of George W. Bush as a credible candidate for public office, following a very chequered early life, is one of the great confidence tricks (some might say, dirty tricks) of all time. There is now a mission for makethemaccountable.com and its like to ensure that the public are not misled, duped, lied to and finagled by the Right again. Malcolm starts from the facts, only the facts, ma’am. Try finding “Peter Mills” with very few clues to go on. Now try with his near-namesake Pieter van der Meulen, whom the BBC Northern Ireland website assures us was William III‘s court painter. There was an Adam-Frans van der Meulen, who worked at the court of Louis XIV. He produced Baroque battle scenes of the kind that clutter the walls of public galleries and palaces, which Malcolm, for one, walks past in ignorance: any relation? Does it matter? Well, perhaps, if our Pieter’s recent appearance on the radar is anything to go by. 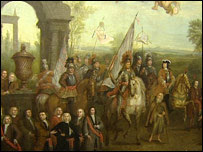 In March 1933 the Northern Ireland Government paid £209 4s 0d for a painting by said Pieter van der Meulen, showing William III landing at Carrickfergus. Do not expect this to represent 14 June 1690 or Carrickfergus with any authenticity: that’s not the point with these works. Expect, instead a heroic monarch, surrounded by other worthies, all presumably represented with some nod at actuality, against an all-purpose stage-set. It is history being written (or, in this case, painted) for the victors. Right. Unionist MPs cheered when they heard of its acquisition. But those cheers gave way to bewilderment when the canvas was unveiled. There in the foreground is a figure which looks like King Billy on his white charger. But floating above him on a cloud is someone who appears to be Pope Innocent XI, apparently blessing his ally as he makes his way towards the Battle of the Boyne. An enraged Glasgow councillor, Charles Forester, threw red paint over Innocent XI. His companion Mary Ratcliffe slashed the canvas with a knife. Both were arrested and fined £65 when they appeared in court in Downpatrick. The painting was restored for a cost of £32 and 10 shillings. In 1934, a former RUC Inspector and “extreme right-wing bigot”, Unionist MP John Nixon (1880 – 1949) led a gang of Loyalists into Stormont where they slashed the painting with a knife and threw crimson paint over the image of the Pope. Damian McCarney, who writes for Daily Ireland and the Andersonstown News recently had a private viewing. In his opinion, “a reproduction of it doesn’t do it justice”. “Here’s a painting which attracted controversy and was attacked for no justifiable reason. The SDLP’s John Dallat said a prominent place in Stormont should be found. Alliance Party Assembly member Sean Neeson said that during the summer a request had been made for the painting to go on loan. “Clearly it is quite a significant painting,” said Mr Neeson. Notice nobody has expressed any opinion on the thing as a piece of art. And that is appropriate, for it was conceived as a propaganda piece, which is what it has remained. Only in Northern Ireland could such things happen. Even last year, the Beeb felt the need to tread lightly: the central character “looks like king Billy”, the figure on the cloud “appears to be Pope Innocent XI” who is shown “apparently blessing his ally”. Curiously, identification seems to have firmed up now: why could that be? In Europe news of the [Williamite] victory was celebrated as an important success for the Grand Alliance by Catholics in Spain and Austria, where Te Deums were sung in thanksgiving in the cathedrals. The battle of the Boyne deserved the notoriety it received. Not only had two kings joined battle to see who would rule in England, but troops from many parts of Europe had fought in remote Ireland for a cause which would determine whether France would be dominant. But the battle of the Boyne was less significant in the history of the struggle within Ireland itself. Despite the huge forces involved, only about 1,000 Jacobites and 500 Williamites were killed; most of the Jacobite army escaped to fight another day. It was the worst disaster in Irish miltary history and made a Williamite victory in the Irish war inevitable. If the Boyne passed into Protestant folklore, then Aughrim became part of the Catholic Irish folk memory, kept alive by poets and story-tellers as ‘Aughrim of the slaughter’. Well, Malcolm thinks, two really. One is that not all art is good. Too many miles of canvas went to produce over-inflated ego-massaging, that the great might feel better about themselves, impress their subjects, and somehow convey to posterity an over-inflated reputation. Which is why these flummeries should not greatly matter, and why the modern study of history was born, to prick that bubble. Second, and more salient, we must see things from a broader perspective. When Derry closed its gates against the Catholic Duke of Antrim on 17 December 1688, it was not because of any rooted objection to James II, but rather because of a panic created by the revelation of a supposed plot to massacre Protestants. The citizens, in fact, behind the closed gates proclaimed their loyalty to King James and swore ‘to persevere in our duty and loyalty to our sovereign lord the king’. Malcolm, however, will not be rushing to tell that out to his in-laws in the RBP.